New, environmentally-friendly wood burning stove that you can use in your new construction or remodeling project. 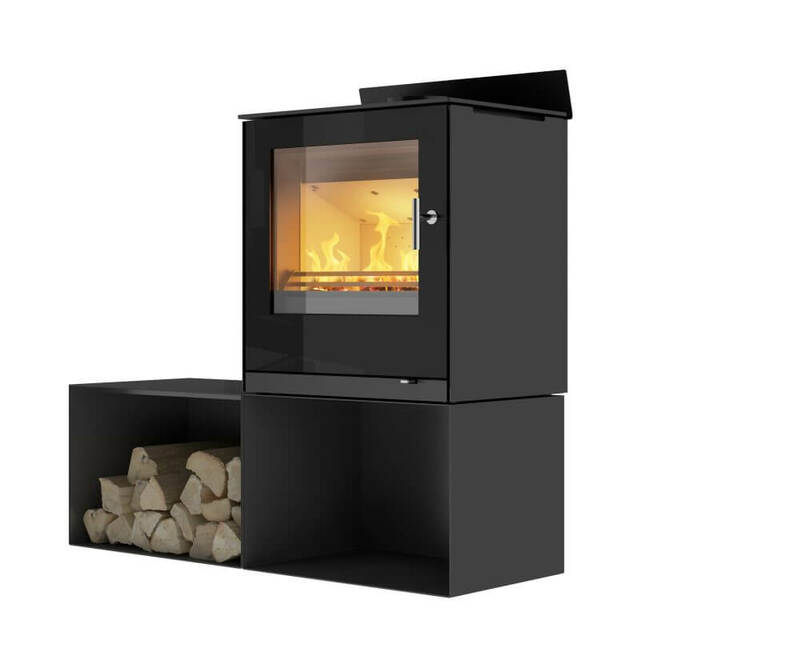 This streamline designed stove is elegant, functional and stands out with it’s superior environmental performance of .9/gph emissions. Rais Q-Tee II is regarded as one of the cleanest burning non-catalytic stoves on the North American market. 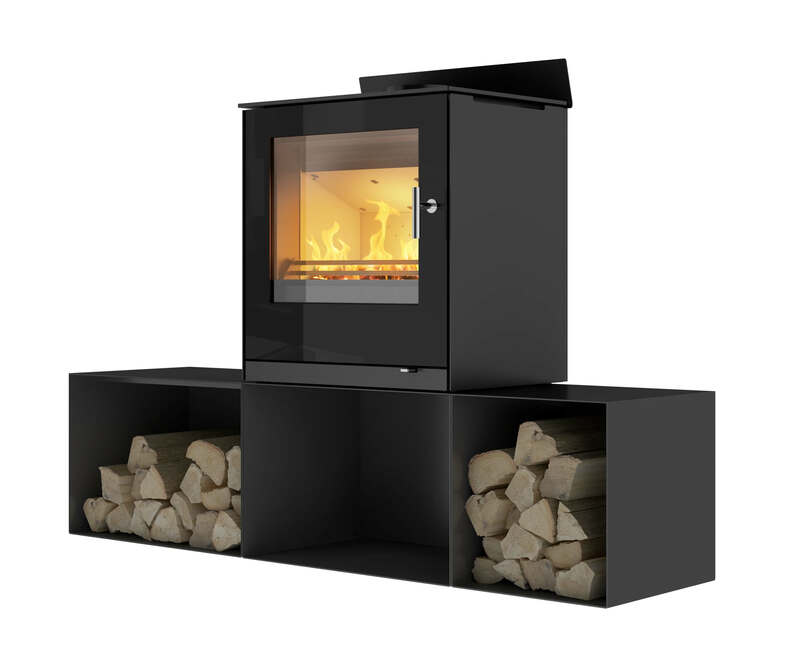 The large fire box of this stove accepts a 17″ piece of wood and can burn for many hours into the night. 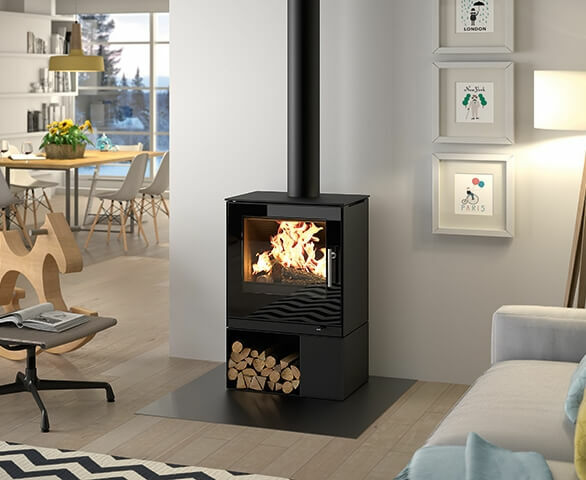 The large window with stay-clean technology offers a magnificent view of the flames. The door is available in a steel frame, or can be enhanced with an extra piece of glass on the outer surface as an option, so the whole door appears to be glass. Base comes standard with cover plate for outside air piping, or can also be used as a full open storage. Outside-air adapter system is an option.